A sleep disorder called narcolepsy continues to fascinate the scientists because of its special relations between sleep and wakefulness. Having this condition usually implies that the brain’s ability to control the sleep-wake cycle is seriously compromised. Consequently, people suffering from such a disorder can fall asleep amidst a lively conversation, feel sluggish all day long, awake many times during the night or even see hallucinations. To say that’s it’s very inconvenient means to say the very least. It’s a serious condition that can worsen over time, that’s why this article certainly needs your undivided attention. Narcolepsy occurs when the brain lacks a vital chemical called hypocretin which is in charge of the already mentioned sleep and wake cycle. We tried to put narcolepsy under a microscope to see what causes it and what symptoms you need to be on a lookout for. To better understand this condition, let me paint you a picture. As you probably know, during sleep we cycle through different stages of sleep. Four, to be more exact. During the first three stages (Light, Deep and Very Deep Sleep) our natural processes slow down, while the final fourth stage called REM, on the contrary, sparks brain activity, and we see dreams. During the REM stage the body becomes temporarily paralyzed, so that we don’t act out our dreams inflicting harm to ourselves as a result. People who have narcolepsy don’t cycle through the stages in an orderly fashion, but rather move randomly skipping some of them. Some can find themselves in a REM stage right after they doze off. They might even experience REM-stage related muscle weakness when they are fully awake. Narcolepsy disrupts the boundaries between sleeping and waking—people’s dreams may cross over into the reality and they see hallucinations when they fall asleep or, on the contrary, have just woken up. More than 150,000 people are affected by this condition in the United States alone, according to the National Institutes of Health. And the numbers go up from there. Narcolepsy is believed to be an autoimmune neurological disease, because it’s caused by a false response from our immune system. Initially our immunity is designed to protect our health by keeping uninvited guests, like infections and viruses at bay. But in this case, it mistakenly attacks the part of the brain responsible for producing hypocretin (a chemical that is in control of sleep and wakefulness states). Narcolepsy is usually characterized by a significant lack of this chemical in the brain. And the fact that it is still not evident what’s causing this shortage led the researches from Stanford to believe that they were dealing with an autoimmune condition. There can, however, be another explanation. 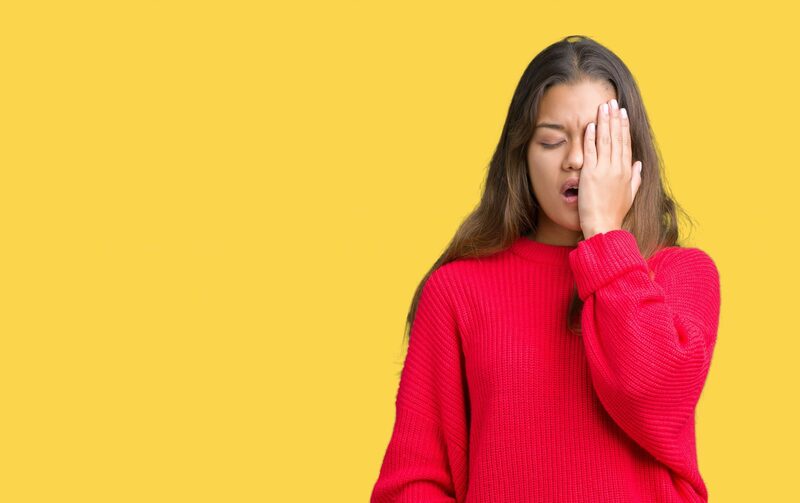 Since the very early stage of narcolepsy doesn’t show any significant lack of the hypocretin chemical, there is a reason to believe that in rare cases brain injury can be the culprit. When the part of the brain that regulates REM sleep is affected (and it can both be a trauma and a brain tumor) the symptoms of narcolepsy are likely to occur. The said condition does not discriminate against age, meaning it can find its way into the wake-sleep cycle of a teenager as easily as into that of an elderly person. What you can do is pay attention to the noticeable changes in your sleep routine and in general in your overall health. People feel very sleepy in broad daylight, no matter how much sleep they had. Brief episodes of sleep attacks can be so irresistible they interrupt regular activities of a person, regardless of what they are doing. It can be anything from laughing to eating. A person may completely or partially lose muscle tone, and they can even find it hard to grab something with hands. Narcolepsy tends to mess up the onset of sleep phases. For example, the dream phase may start right after falling asleep. Which means long before the REM stage, when it usually happens. They happen when the dream world meets the reality. People open their eyes and find themselves amid familiar surroundings, feeling fully awake. But in reality, they are still dreaming, totally unaware of it. People describe phantom sensations, report hearing voices and vividly seeing strangers move around their room. All of it lasts from about a few seconds to a couple of minutes and can be a pretty terrifying experience. Here people are also sure they are awake, when in fact they are caught in the middle of waking up. They can neither move nor speak or scream, even when they try. Some of the above symptoms can be just a one-time thing and nothing to worry about. They can be caused by such factors as stress, sleep debt or the use of medications and other stimulants. Other symptoms may subside if you stick to a regular sleep schedule, avoid triggers like caffeine and alcohol, and try to relax before going to bed. However, if the signs of narcolepsy continue, it’s better if you schedule an appointment with a sleep specialist, called a somnologist, in order to figure out the real cause of the problem. Explore the importance of a good night’s slumber and benefit from its healing power.